As head of imagination (AKA the best title ever) Pharrell’s job is to bring the best talent to denim label G-Star Raw. Since he joined in 2014, sustainability has been his number one objective, helping to create the first pair of jeans with no water waste just last month. 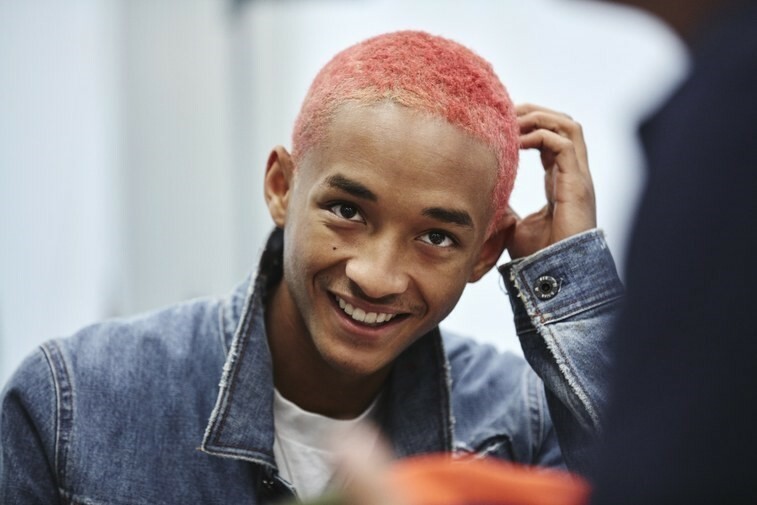 Now, the musician and designer has enlisted Jaden Smith to create his own sustainable collection for the label. Announced on Pharrell’s Instagram account, he said: “His commitment to the environment is such an inspiration.” Sustainability is a topic the 19-year-old is obviously passionate about. Last year, he launched Just Water with his father, Will Smith, a company that manufactures eco-friendly bottled water. While Smith hasn’t branched into design before, he is no stranger to fashion. As well as making appearances at the Met Ball (including that time he brought his chopped dreadlocks as a date), he has also starred in Louis Vuitton’s SS16 and AW17 campaigns. In the teaser film for the collection, we see Smith in a design studio, talking about why he wanted to work on the collection, and, more importantly, why sustainability is so important. “Things are changing in the world, and we need to change with it for the better,” he says. Full details about the collection will be announced later this year when it debuts.